Likit helps businesses communicate with their users through notifications while also providing insights into user behavior and needs. They’re one of the few startups in Latin America who has been saying “this is it, Bluetooth can solve your problem” since 2008. Now they’re trying to help businesses upgrade paper flyers and signage with beacon technology. Latin America is not excluded from the business-driven desire to speak with customers. However, Likit found the resistance to technological solutions particularly difficult. They needed to not only create an affordable solution for their customers and end-users but also craft a system that could be easily adapted. They would need proof that beacons can deliver more than traditional analog technologies. Likit has been looking into Bluetooth messaging since 2008, but their efforts were put on hold until they could find the right tools and environment. After extensive testing, they found the Kontakt.io beacon was not only strong enough to fit smoothly into their backend but it also came with the top-of-the-line customer service they needed. The beacon’s seamless integration with the Likit platform supports the big data analytics needed to drive results and real-world, valuable information for businesses. Unlike competing solutions, Likit is able to not only deliver personalized messages but to also collect information and deliver increasingly better messages each time. 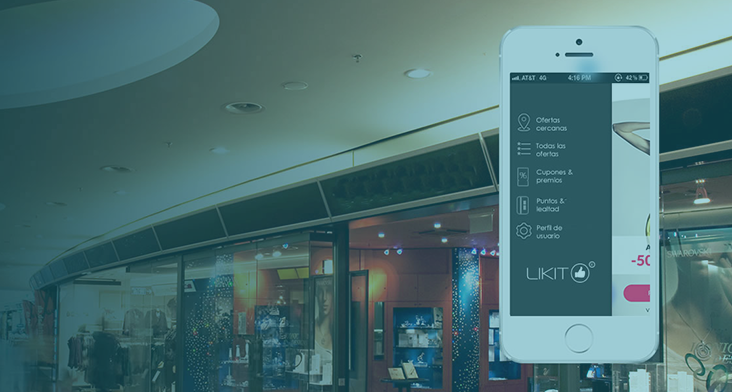 Likit installed 40 beacons around central areas of the upscale Antara shopping mall. The mall features over 140 stores and services and covers 550,000 square feet. The shopping hotspot is now able to cater to visitors while gathering data on shopper movements. This means visitors get only the best and most pertinent information about events, promotions, and special offers–and they get it instantly. Gas stations can have a tough time keeping their customers regularly coming back. That’s why innovative Car-Go Gas Stations in Mexico are turning to technology to better know and serve their visitors. By combining the Likit app with two geofences, the app is able to target customers as they enter the premises. They can then send well-timed messages and facilitate special promos and rewards, turning a common task into an all-new experience. Numbers prove that users love it. Car-Go regularly sells special cinema tickets at their locations when users purchase a certain amount of gasoline. With the addition of the Likit solution, they were able to increase those ticket sales four times over. That means happy businesses and happy customers.